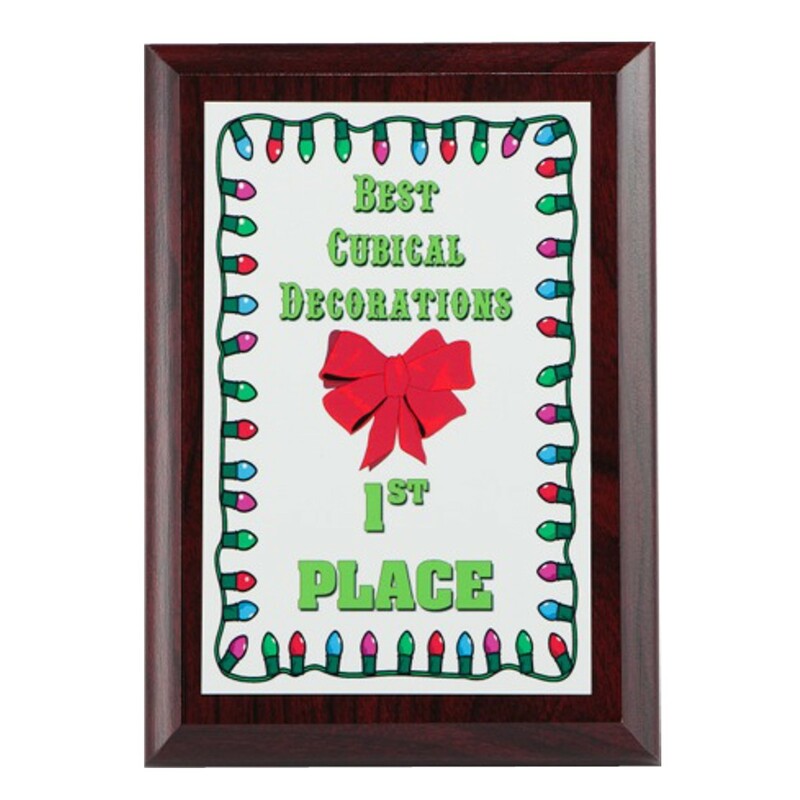 Hosting a holiday contest and looking for a customized award? Give a Full Color Christmas Plaque to the most spirited winners! 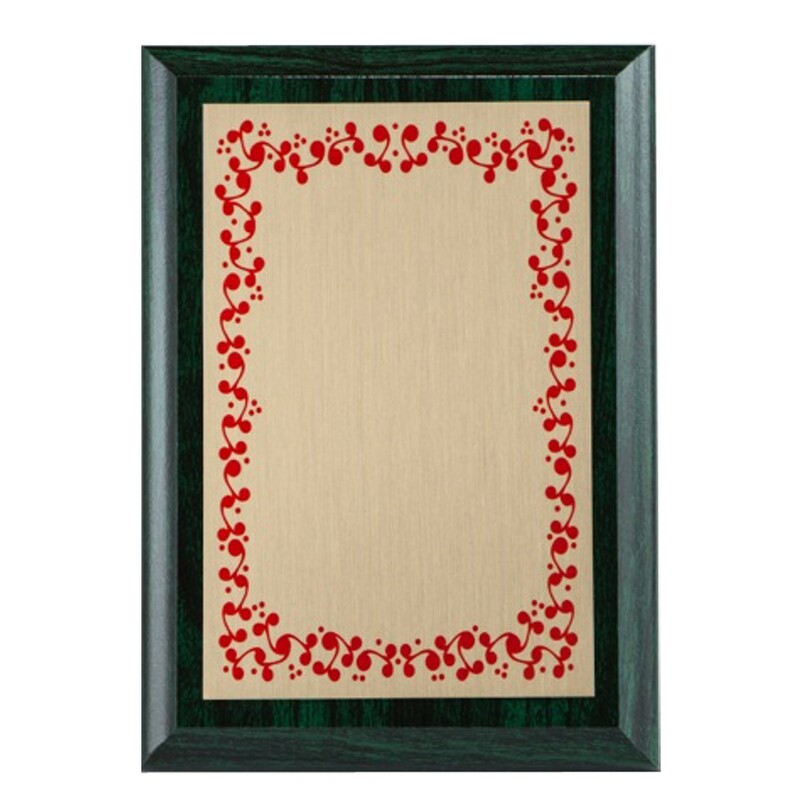 This full-color sublimated plaque features your choice of scarlet red or emerald green wood-grain stain with a cove edge. Available in 6 sizes, choose a white, silver, or gold plate for your full color logo and text. 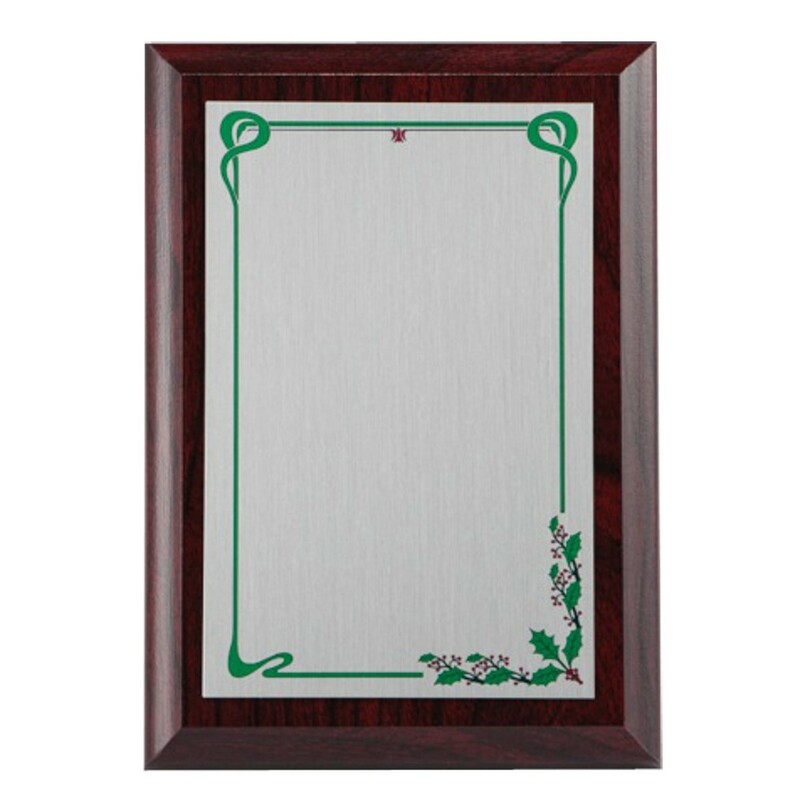 A proof is included with your order and we personalize the plaque for FREE! 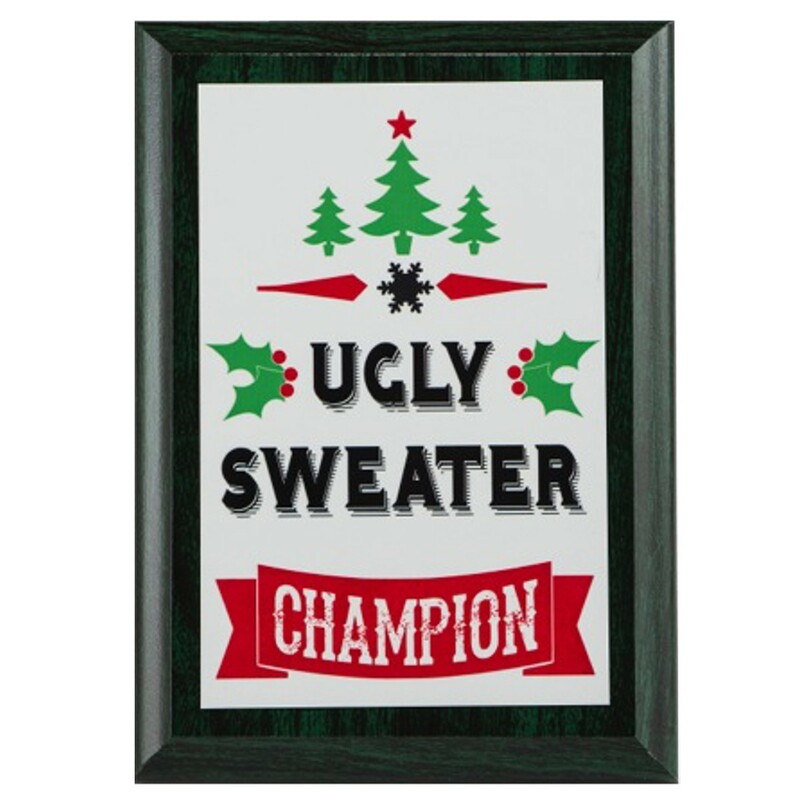 Give an Ugly Sweater Plaque to your most festive guest or Best Cubicle Decorations Plaque to your office winner! Artwork: Please attach a full color logo or photo in the 'Customize Your Award' section of your order. A high quality jpg or eps file works best. 5x7: 7", 6x8: 8", 7x9: 9", 8x10: 10", 9x12: 12", 10.5x13: 13"
5x7: 3"x5", 6x8: 4"x6", 7x9: 5"x7", 8x10: 6"x8", 9x12: 7"x10", 10.5x13: 8.5"x11"